Erich Gnaiger has scientific and technical expertise in the fields of mitochondrial physiology and pathology, microcalorimetry and biological thermodynamics, contributing fundamentally to the understanding of mitochondrial respiratory control, and development and application of high-resolution respirometry to cellular bioenergetics and the diagnosis of mitochondrial defects. Apart from being CEO of the SME OROBOROS INSTRUMENTS Corp, he also has a faculty position at the D. Swarovski Research Laboratory, Department of Visceral, Transplant and Thoracic Surgery, Medical University of Innsbruck, Austria. He is initiator and chairman of the Mitochondrial Physiology Society (MiPsociety; www.mitophysiology.org), and has organized numerous conferences, more than 120 international workshops, and training courses on mitochondrial physiology, bioenergetics and biological thermodynamics, and is editor of several proceedings of international meetings. The international teaching activities range from non-equilibrium thermodynamics for chemical engineers (EU-level training; previous member of the IUPAC steering committee on biological thermodynamics) to mitochondrial physiology (initiator of the MiPschools). Erich Gnaiger participated at international scientific expeditions taking high-resolution respirometry to climatic extremes in Northern Greenland, Alaska and high altitude (Monte Rosa, Italy; Mt. Chacaltaya, Bolivia; Everest Base Camp, Nepal). 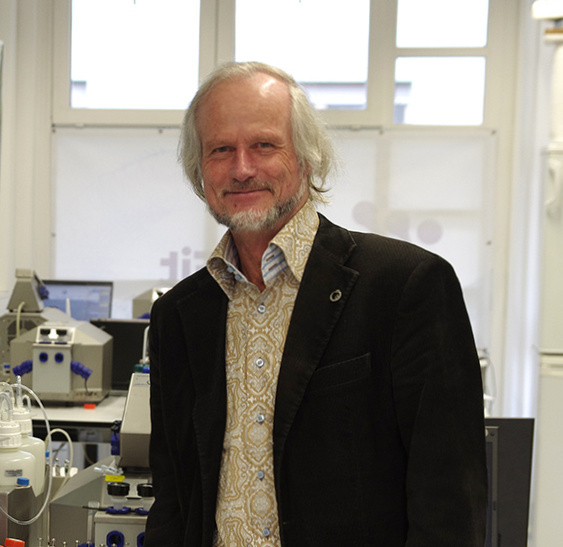 Erich Gnaiger is initiator of ‘Gentle Science’. Erich Gnaiger has supervised 10 Ph.D students to completion and is currently supervising two Ph.D students. Selected current research projects with the involvement of OROBOROS INSTRUMENTS are MitoFit, NextGen-O2k, the COST Action MITOEAGLE as well as TRACT and TRANSMIT.